The Fellowes AutoMax 200C Auto Feed Shredder offers powerful automatic shredding for heavy usage. With this auto feeder shredder, the user can shred 200 sheets at one time. It is equipped with AccuFeed System for fast automatic shredding for medium use. In fact, it also allows 10-sheet capacity for manual shredding. The AutoMax 200C gives maximum productivity with automatic shredding and is great for offices where heavy shredding is required. Its maximum run time is about 12 min on/25 min off. The paper entry width is about 9” and shreds staples, credit cards, paper clips, CDs/DVDs and junk mail into tiny cross cut pieces of 5/32” x 1 1/2” size. It has a pull-out bin of 8.5 gallons. The AutoMax 200C auto feed shredder is designed with innovative touch screen technology with backlit LEDs. Moreover, it also offers SilentShred feature for ultra-quiet shredding operations. The Auto Reverse function of AutoMax 200C stops and reverses if a jam occurs giving you hassle free shredding process. The auto feed shredder is also energy efficient and saves energy by going into sleep mode after 2 minutes of inactivity. The AutoMax 200C auto feed shredder is great for shredding paper that is in bulk form. It comes with 2-year machine warranty and a 7-year cutter warranty. From the creator of AutoMax walk away shredders, Fellowes introduces hands-free desk-side shredding for small and medium sized offices, with a 200C. Now offices of every size can experience truly walk away shredding and a more productive work life. What makes AutoMax 200C and 130C truly walk away, is their proprietary accu feed system which shreds common stacks of paper, including glossy paper, double-sided color printed paper and even crumpled paper. And with the 200C you can also manually shred CDs, DVDs, and junk mail. AutoMax delivers dynamic performance from every angle. Consumer driven features like Auto Reverse, stops and reverses paper if a jam occurs. It's also ultra-quiet energy efficient and easy to use with innovative touchscreen technology. 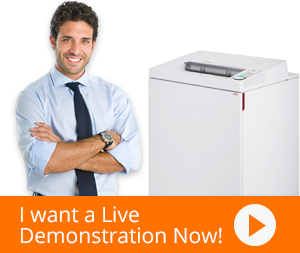 Experience what a true automatic shredder should be, hands-free and hassle-free.